MEX’s built-in asset register allows users to record information on all assets and locations, including account codes, purchase details, supplier, warranty information, previous asset locations, and more. Full work histories can be documented, with last service dates and readings, any spare parts used when repairing the asset, and any outstanding work to be completed. Users can also create any number of custom fields to record additional information. Minimal information can be recorded in MEX during setup, with users able to return to asset records and fill in more details at a later date. Work orders can be created manually by users, for maintenance requests, or their creation can be automated through preventative maintenance scheduling. 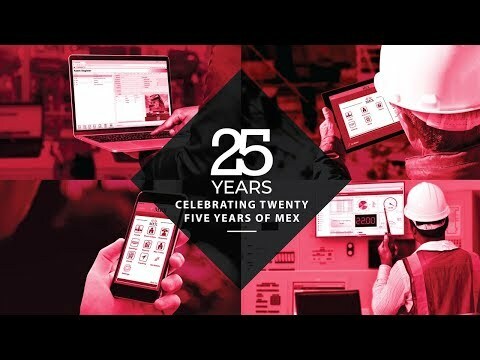 Users define the frequency at which maintenance is required for assets, based either on usage or time, and MEX automatically generates work orders according to this schedule. Work orders can be used to record as much or as little information as desired, with users able to record only essential information to reduce the time spent at the computer, or plan and document every detail including tasks, manpower, spare parts, tools, instructions, procedures, dates, and more. Casella Family Brands initiated the use of Mex in 2007 "Just to help us with Maintenance", Who would have thought of the wide usage & power of the system now, The Business has grown considerably & Mex has adapted & grown with us from the early days of 10 users to now having 225 users, the business was on 1 site now we have multiple sites looking after maintenance function of 150+ maintenance staff & an asset register with over 10,000 assets. All functions of the Mex System are utilized from the requesting process & approval to the acquisition of parts & final Scheduling, A comprehensive history has been developed which we now have as a resource to use on reporting regulatory requirements & in moving the maintenance function forward strategically. The system may not be the biggest out there but its ability to be adaptable to our designed maintenance program whilst keeping a robust user environment is invaluable in running the day to day maintenance function, Mex is now in the centre of all the maintenance functions on all our sites giving us control of all our labour, materials, running costs & information. Its ability to adapt to our changing maintenance function while withholding a robust user environment. Its ability to adapt to our changing maintenance function while withholding a robust user environment. The systems scheduler is clunky & needs improvement, eventually as every user continues down the path of true jobs control the scheduling of the workload must be the pathway to this result. The software is full of great features, however they are only as great as the information that goes in, which can sometimes lead to frustration. We use MEX to run our stores (although no ordering happens through MEX unfortunately) We also use the Preventative Maintenance in a big way, and some features are still struggling to be realized (for instance, the hierarchy of PM's) However, when good information is input consistently, fairly consistent results are output. Good features for stores and preventative maintenance etc. Lots of information and recording of history is possible. Great to be able to add photos and all sorts of information in behind stores items, or work orders. Good features for stores and preventative maintenance etc. Lots of information and recording of history is possible. Great to be able to add photos and all sorts of information in behind stores items, or work orders. Often can be running slow and a bit clunky. Some features are not user friendly/intuitive to use (e.g. exiting a field in order to save) Building custom reports is way over-complicated for someone without the correct training. Certain stock reports do not work, as they seem to have been installed or set up incorrectly. MEX is a great program and very easy to use. The staff are friendly (that's you reception ladies) and very informative and helpful (support guys). The front end platform looks great, is easy to navigate, and I like that you are able to set permissions to allow or restrict access to certain areas. I particularly like the ability to take MEX with you via the iOS app. As with any program there are occasional glitches or issues, but the support staff and developers do a fantastic job sorting things out where they can. I would highly recommend MEX for anyone in the market for a good CMMS.The support and assistance you get from the MEX staff. I believe that is key to any good program. The support and assistance you get from the MEX staff. I believe that is key to any good program. Nothing. I really enjoy using it. From our initial dealings with the MEX team they were extremely helpful. They did not hesitate to come to our office and give us a professional and highly informative demonstration. MEX has allowed us to effectively manage our clients asset registers and assign structured preventative maintenance schedules to these assets. We are able to record all history and report on the complete lifecycle of an asset. Although MEX has virtually infinite combinations in relation to how you wish to set up your asset register MEX is very user friendly and the level to which you want to use it is up to the user, it has the capacity to be a very powerful management system across all areas of maintenance from reporting, to issuing work orders, managing invoices, tracking depreciation, flagging insurance expiry dates and police checks, the list goes on . Overall we are very happy with the MEX CMMS system and their customer service is second to none. We highly recommend MEX. Preventative maintenance scheduling can be automated according to both usage-based and time-based frequency schedules, such as every quarter, every 100 hours, or every 10000km. Work orders can be created manually, or automatically according to routine maintenance schedule periods, and used to record as much or as little information as required, including the asset involved, job instructions, required materials and spare parts, tools, labor requirements, tasks, procedures, and more. More than 230 standard reports are included in MEX, and users can also create custom reports using the built-in Report Designer. The Stores add-on module allows users to track all spare parts, and offers purchasing and requisitions management and a full parts catalogue. Employee working hours can be logged through the inbuilt electronic timecard system and timesheets. Below are some frequently asked questions for MEX. Q. What type of pricing plans does MEX offer? Q. Who are the typical users of MEX? Q. What languages does MEX support? Q. Does MEX support mobile devices? Q. Does MEX offer an API? Yes, MEX has an API available for use. Q. What other apps does MEX integrate with? Q. What level of support does MEX offer? Q. Which apps is MEX compared to most often?